You never thought you'd get to the age when you said things like "Kids today!" did you? But here we are, us '90s children, all grown up, and tsk tsk-ing the youth of today. Because when '90s kids see teenagers now, we have some pretty deep feels. And some fairly serious thoughts. Things are different than they were in the '90s, man. Young people of today are so very strange to us, and their ways are so foreign to the ways we grew up with in the '90s. To be fair, most of our thoughts come from a place of impressed terror, because these days teens are mighty. Especially woke teens who remind us exactly how sleepy we were ourselves. 1. "Why Do They Even Need That Phone?" 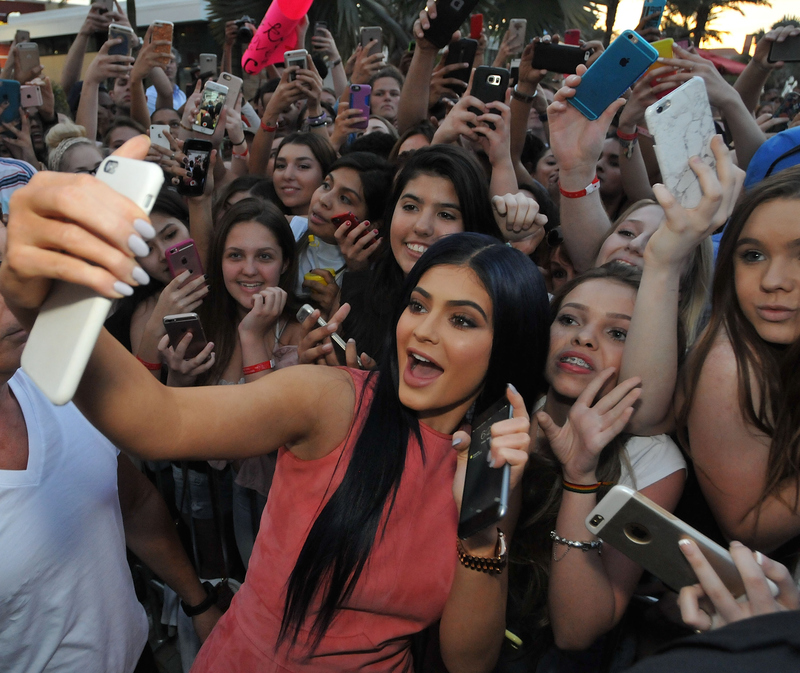 Having grown up without cell phones, we can't understand why teens need them now. When I was a teen in the '90s my mum would drop me off at the movies and give me 20 cents to call her from the payphone when I was done. Worked just fine. 2. "God, I'm Glad Some Of My Life Is An Undocumented Black Hole." I mean, all teens do dumb stuff. In the '90s we were lucky enough that social media wasn't a thing, and that unlike teens today our whole existence isn't already completely documented. 3. "These Kids Are Never Going To Look Back And Cringe." Is it just me or do teens today dress cooler than we did in the '90s? I feel like they'll look back at photos and think they look pretty cute, whereas we look back and cringe until we implode. 4. "There's A Whole Group Of Them, This Is Terrifying." Groups of teens terrify '90s children because you roll so deep these days. In the '90s it was cool to have groups of two to five best friends (think Now & Then or Saved by the Bell), but now it's all about having a huge crew. (Sorry, squad.) It's scary when there's so many of you! 5. "Don't Tell Them You Don't Understand Snap Chats." We want to hide how daft we are about technology from you. Just like we had to show our moms how to use phones with touch screens, we now have to be shown how to use all the new-fangled trendy apps. But we don't want all the hip teens to know that we're officially old. 6. "They'll Never Know A World Without Internet." You'll never know how weird it is to remember the world without Internet (or at least without internet as part of our daily lives as it is now) and be confronted by teens who have only existed as completely connected to the Internet. 7. "Imagine Not Remembering The Xtina Phase." Just as mind boggling as you always having the Internet is you only knowing Christina Aguilera, and not remembering the most important iteration of the pop star, which was obviously Xtina. 8. "They Don't Even Know Half The Things They Like Are Inspired By The '90s!" Nineties kids watch teens today parading around, listening to Zayn's new RnB album, wearing chokers and floral dresses and not even realizing we did all that already ... in the '90s. Most teens might not even realize how inspired they are by the '90s, but WE SEE YOU. Look, we don't know all the words or how to use them. But in our heads we'll pick some youth slang we heard you guys saying once and try to use it in a sentence. Then we'll reminisce about a time when trendy buzz phrases included "Whatever" and "As if", which were so much more straight forward and simple to use in context. 10. "I Can't Believe Brown Lipstick Is Back." 11. "Soon '00s Babies Are Going to Make These Teens Feel This Weird." As weirded out as teens today make '90s kids feel, we know that soon there's going to be a whole new batch of teens, born in the mid-oughts, that are going to weird out the teens that weird us out. That's a logic bomb for you. Every time we see a teen today we're reminded how long ago it was that we were teens. It's been a while.